This is a rewrite of an article that first appeared in the Internet Showdown issue of New Internatoinalist magazine. I have expanded some sections and rephrased others. Perhaps the most important reason to use Free Software is that it allows you, not a corporation, to control your computer or mobile device. It lets you see and change the code that your computer is running. If there are bugs you can fix them or pay a programmer to fix them directly. You are free to share your programs with others without fear of being bullied, or labelled a pirate. And you can learn how the code that makes your computer run actually works. Secure web chat: CryptoCat or Jabber. Help grow the Free Software community. You can report bugs, request new features, offer translation or design skills, or â€“ if your inner geek is struggling to get out â€“ write some code. Tor is a tool that anonymizes internet connections to allow free expression. Dissidents, who risk their lives to speak truth to power, can use Tor to side-step censorship by repressive governments. Adding your traffic to Tor makes it harder for those governments to crack down on online dissent as well as keeping your web browsing private. A growing number of artists are releasing their work under free or open licences like those from Creative Commons or straignt into the public domain. Listen to their music, read their books, and bung them a few quid to support a blossoming re-mix culture, that doesn’t rely on terrorizing downloaders, but rather recognizes that our culture belongs to everybody. I like the free music archive and Jamendo for music archive.org for video and Project Gutenberg for e-books. Image by _Max-B used under Creative Commons BY-SA license. You bought it, so you should control it. 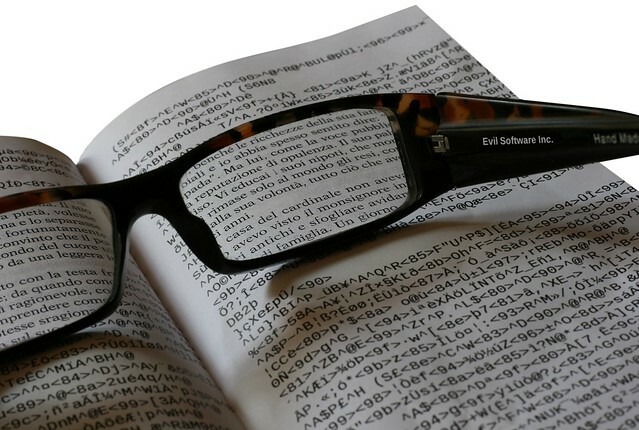 Some publishers use Digital Restriction Management (DRM) — malicious software that lets them mess with your device remotely in a misguided attempt to stop people from using or sharing their books freely. Buy books from publishers like New Internationalist or O'Reillywho don’t use DRM and complain to those who do. Mobile devices can report your location to companies, stop you from using your apps as you'd like and are easily intercepted. Android is mostly built with free software, though it does incorporate non-free code. You can, however, add privacy tools from The Guardian Project to help stop snooping governments and marketers. Most websites nowadays carry advertising, social media widgets and tools for profiling their audiences. Somewhere thereâ€™s a record of your seeking advice about your embarrassing medical condition, or evidence of your unsavoury political interests. You can protect yourself from unwanted tracking and ads with browser plugins like Ghostery and AdBlock Plus. techtoolsforactivism.org is an accessible gateway to tools for campaigning and organising more securely online (including email, blogs, instant messaging and microblogs. There is a Tech Tools For Activism booklet available too. Tactical Tech produce a Digital Survival Guide, which is a basic intro to computers, internet and mobile use. Then, after all, why are you tracking people on your own site? Like I say in the privacy statement, I only log anonymized info. "I anonymize the last byte of your IP address with the piwik AnonymizeIP plugin. That means that rather than your IP showing as 74.125.230.116, I would see 74.125.230.0 . " This gets aggregated monthly which ought to make it more difficult to deanonymize a visit. Be interested to hear if other people can suggest better ways to achieve this. Forgot to say that the original is atTen steps to software freedom on the New Internationalist site.